As much of the garden fades into Fall, you can bring a rainbow of color to the garden with mums. This perennial is known for its reliable flowering from late Summer to hard frost. It is also very easy to grow. Colors include reds, white, yellows, oranges, pinks, lavenders, and bronze. Visit our Retail Greenhouse in late Summer to Fall for all of our available varieties. 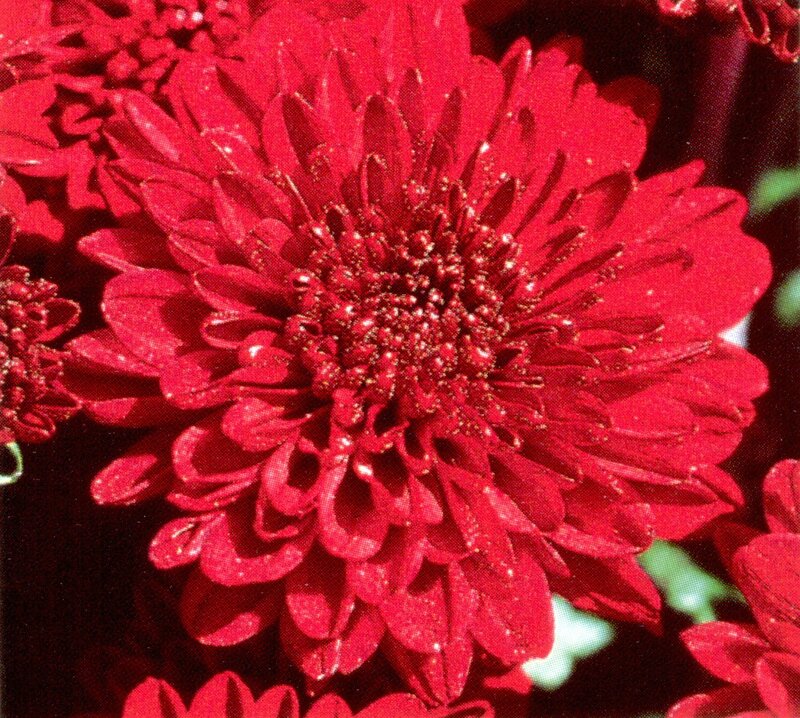 Mums do best in full sun with moist, well-drained soil. If your soil is compacted or has high clay content, the addition of compost will add aeration and drainage. Plant mums 24” apart or more because they will grow wider with age. Mums flower when the nights become longer so do not plant them somewhere that is brightly lit throughout the evening. This will confuse the plants and if they do flower, it will be very late or sporadic. Fertilize regularly while you water throughout the Spring and Summer. Fertilize until flower buds begin to show color. To keep your mums small and compact and to be covered in flowers, you need to do a little pinching. In Early Spring when they reach 12-18” tall, cut them back so they are 6-9” tall. This creates a bushier plant and in turn more flowers. Keep the plants 6-9” tall until the Fourth of July, then stop pinching them. Mums can be divided every other year. To divide, wait until Early Spring, dig up the clump and cut into sections. Make each section at least 6”x6” to be sure you have a good number of rooted stems. Garden mums are generally hardy throughout the Midwest, but plants can be lost following extreme Winters. 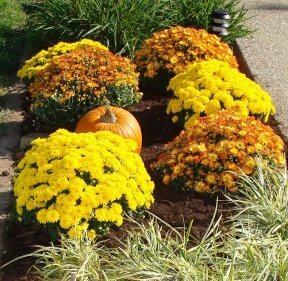 Applying Winter protection in the form of mulch can be helpful, especially for newly planted mums. Apply a layer of mulch 2” thick around the plants. This will keep the soil evenly cold after it has become frozen and will reduce the effects of freezing and thawing. The best time to apply mulch is late November to early December after two or three days of temperatures below 20°F. Leave them covered until mid March.